The silver feather necklace is a fresh and elegant design inspired by Native American traditions and art. 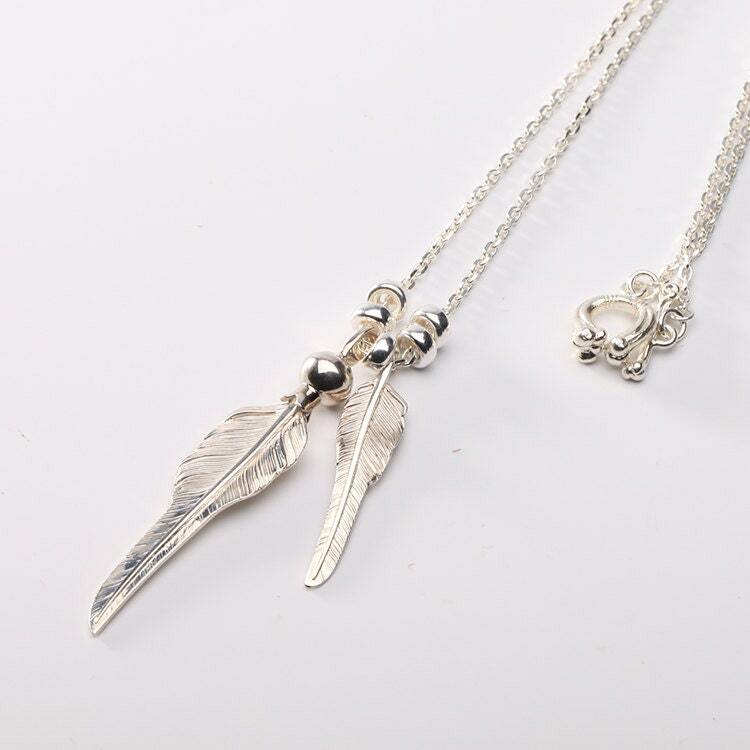 A set of two feather pendants is the highlight of the necklace. 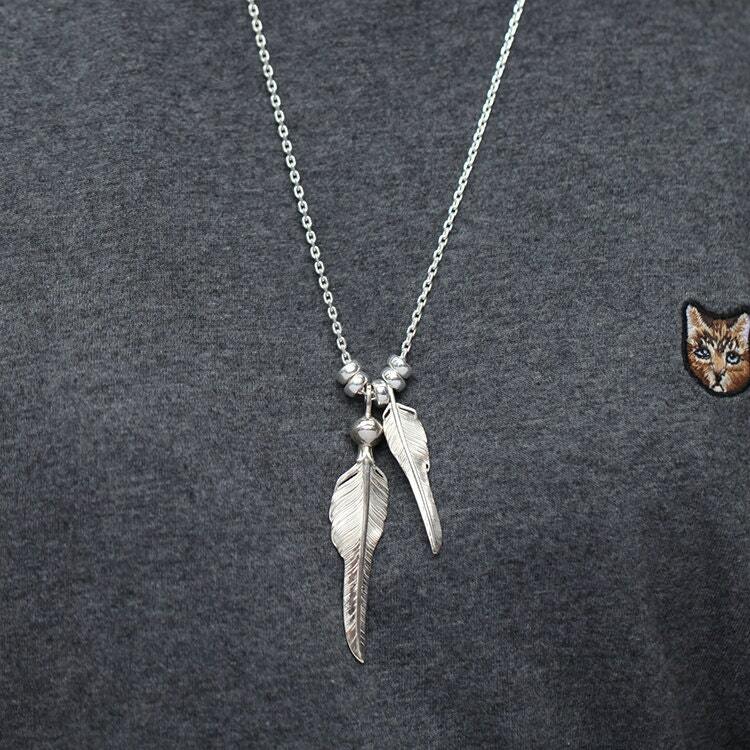 Both the feather charms are different sized - smaller and bigger. 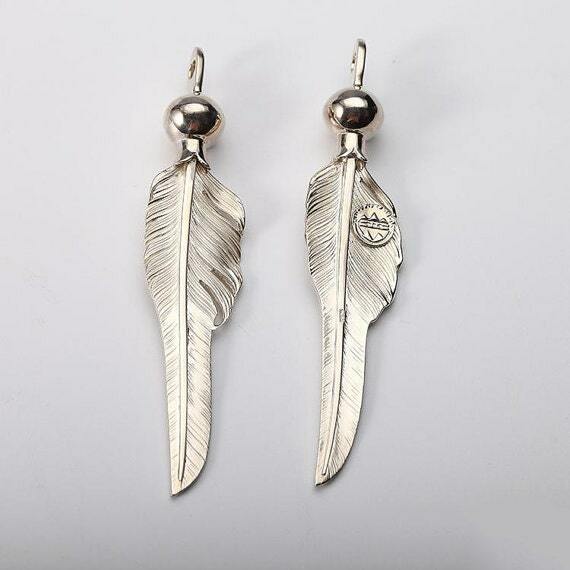 The bigger feather charm has an stylized squash blossom inverted on its quill. The feather charms are arranged on a simple silver chain, with a few silver spacer beads adding to the weight and heft of the necklace. 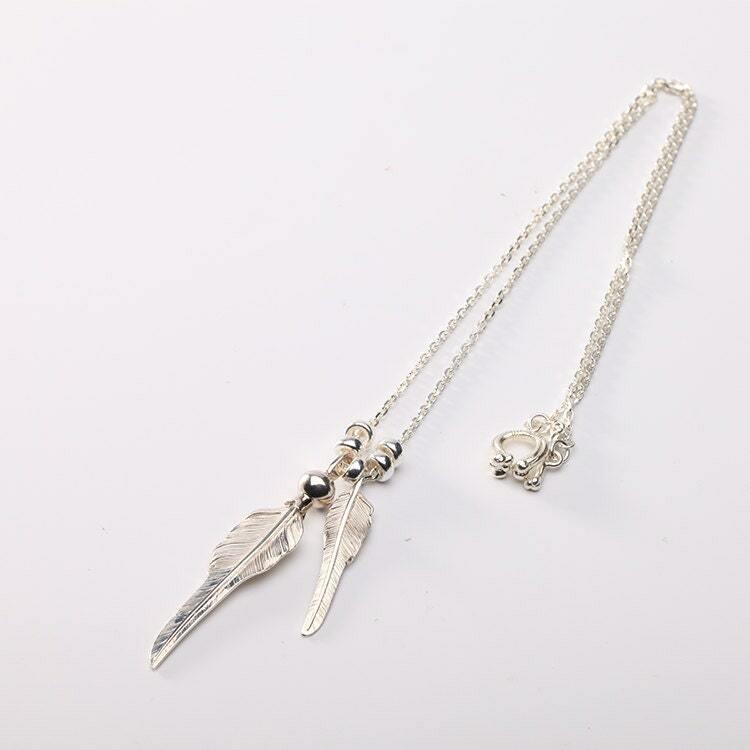 A whimsical silver bone toggle clasp adds a dose of adventure to the necklace!